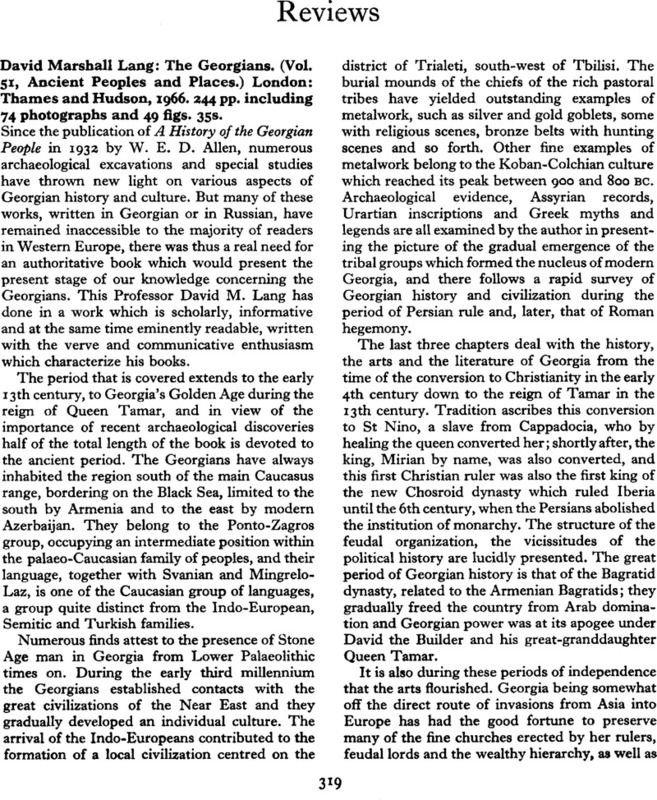 David Marshall Lang: The Georgians. (Vol. 51, Ancient Peoples and Places.) London: Thames and Hudson, 1966. 244 pp. including 74 photographs and 49 figs. 35s.